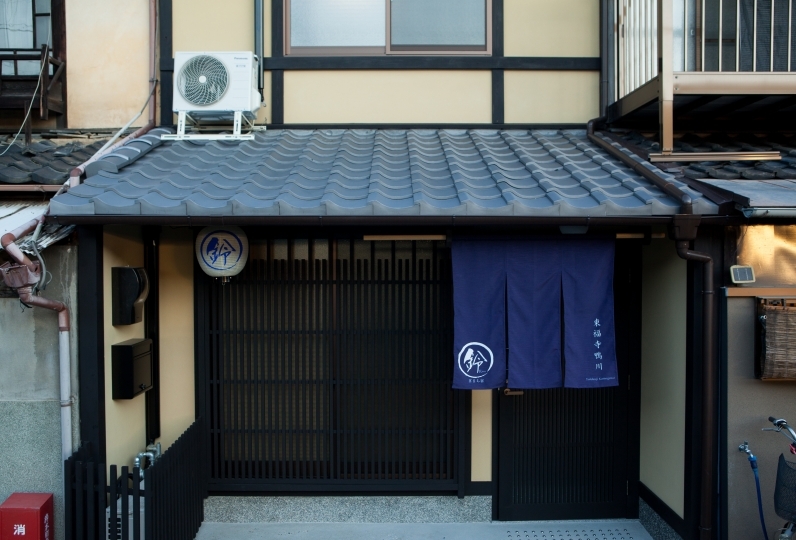 At "Kyoto Ryoan Zen" located in Higashiyama, Kyoto, the feeling of a Kyoto lifestyle from the past still stays. 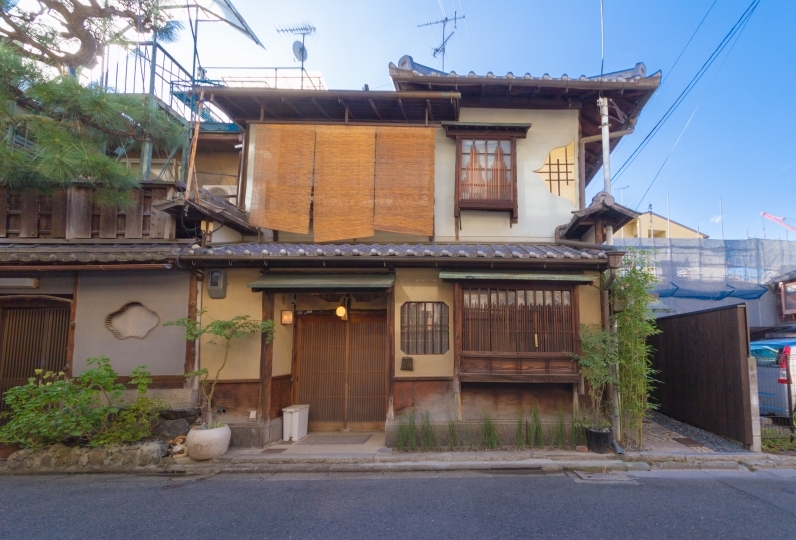 The Kyoto townhouse Ryokan is located on a corner in a quiet residential area of Higashiyama, Kyoto. The appearance of this townhouse  as if someone is going to live here soon, will allow a new experience in your vacation "to live". 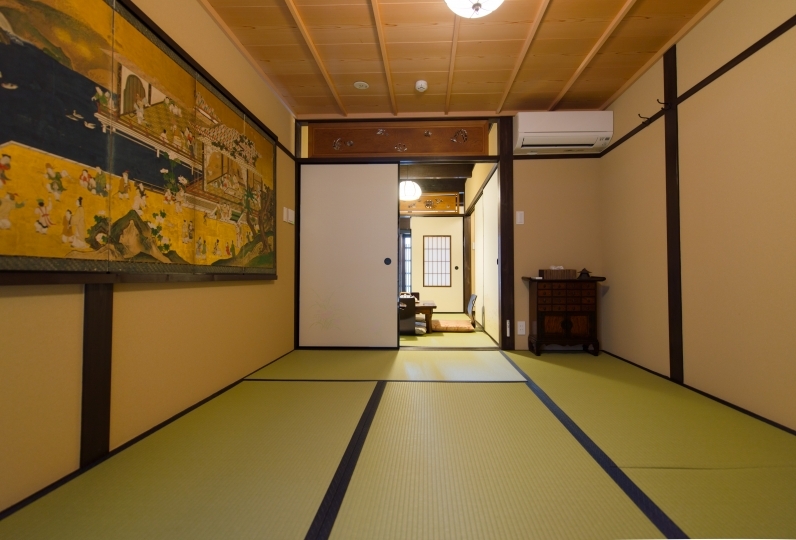 On the 1st floor, there is a living room with tatami flooring, a bathroom made out of Japanese Cypress, kitchen and a washing machine for long stays. 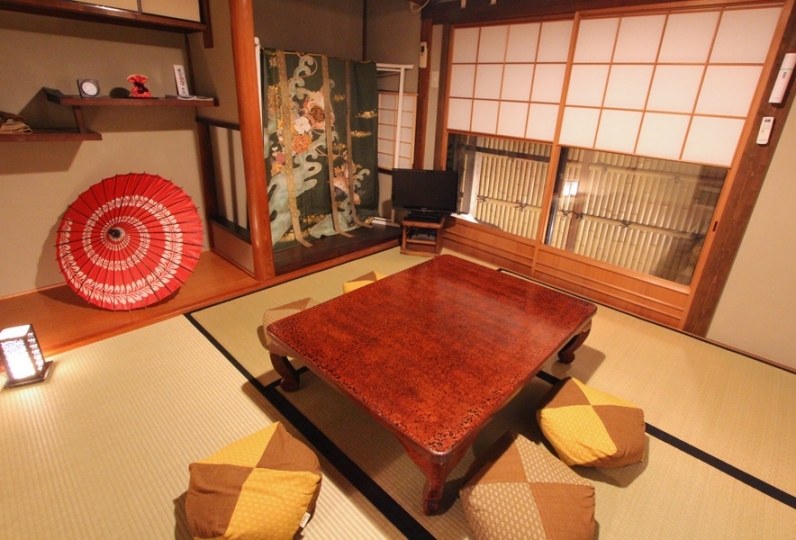 On the 2nd floor, there is a space with antique furniture, bedroom and Japanese Style room. If you go through to the earth floor from the entrance, there is a garden covered in moss. An experience from the daily life. 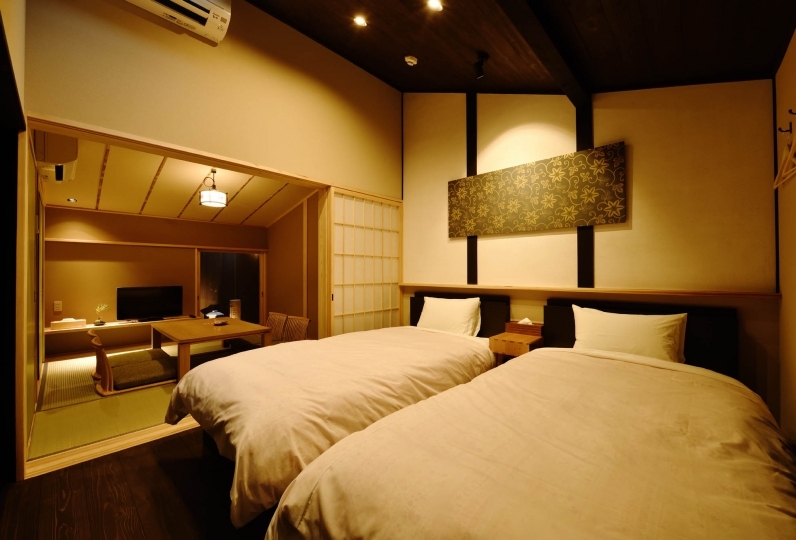 "Kyoto Ryoan Zen" will make your wish, to be able to spend your time as if you're at home, whilst not forgetting that you're on a vacation. 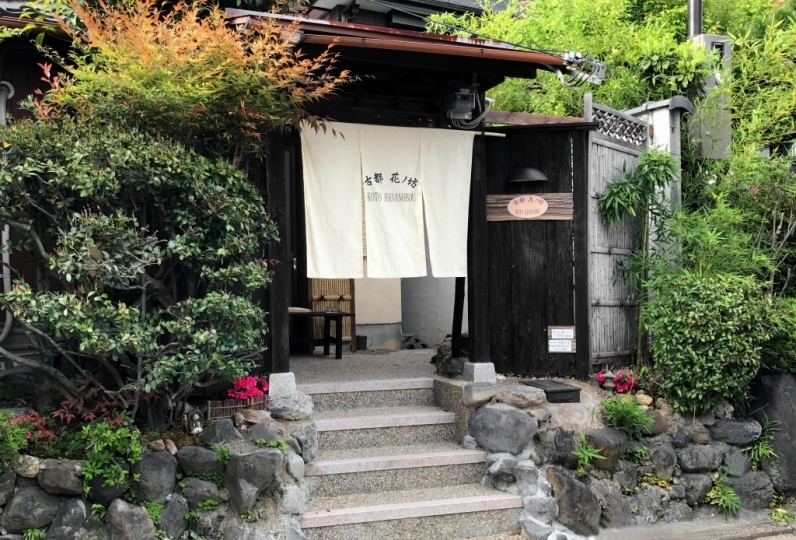 Heian Jingu Shrine and Chion-in, Nanzen-ji are all located within walking distance, therefore this Ryokan is very convenient. Please enjoy your experience of living in Kyoto as much as possible. 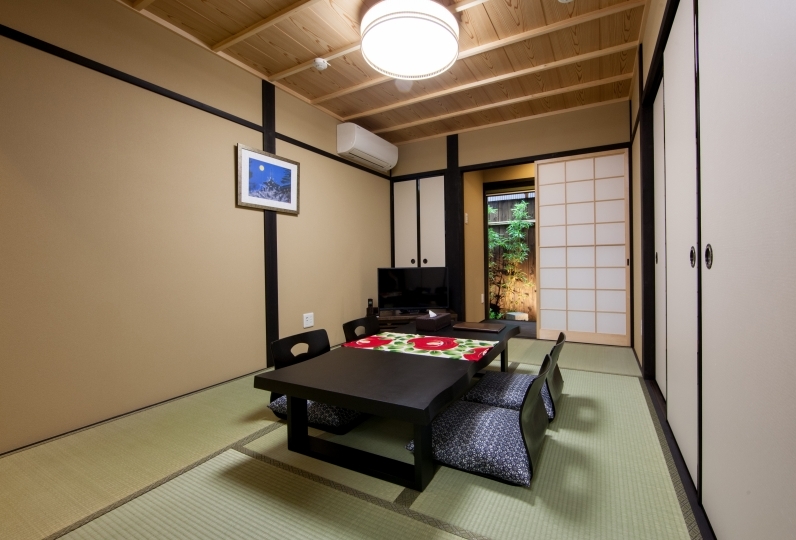 In order for our guests to have a comfortable stay, even in large groups my we have prepared a living room with coffered ceiling on the 1st floor, a bedroom with 2 semi double beds and a Japanese Style room on the 2nd floor. In addition, the townhouse has a kitchen with an IH heater and a washing machine useful for long stays. We have thought well about the interior of the townhouse. 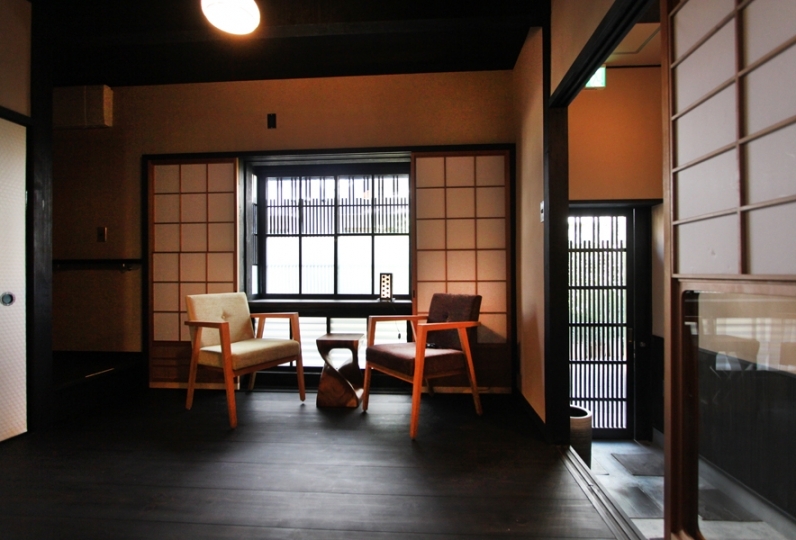 There is a bright relaxing corner room with antique furniture on the 2nd floor, lighting after the name of the Ryokan in front of the house, the legless chairs from Hida Takayama and the incense burner all on the 2nd floor. Other than the above, there is a parking lot for our guests that is accessible from the garden. 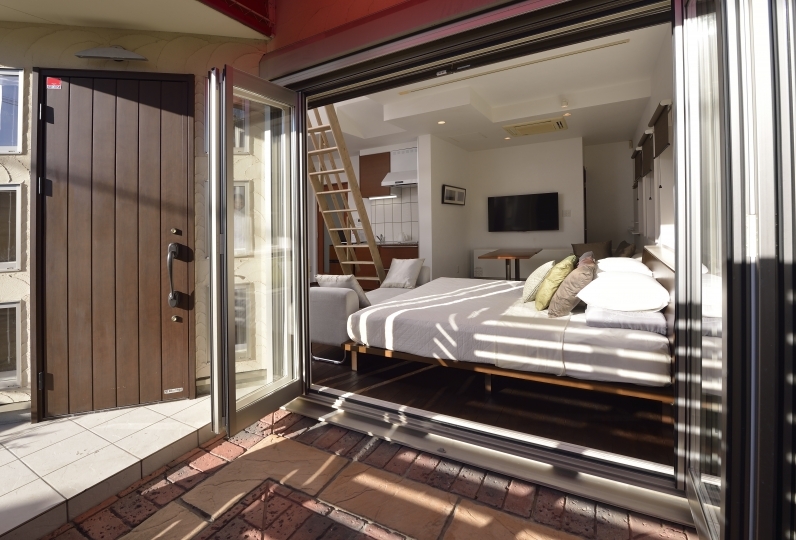 Enjoy a vacation with door to door access to places. 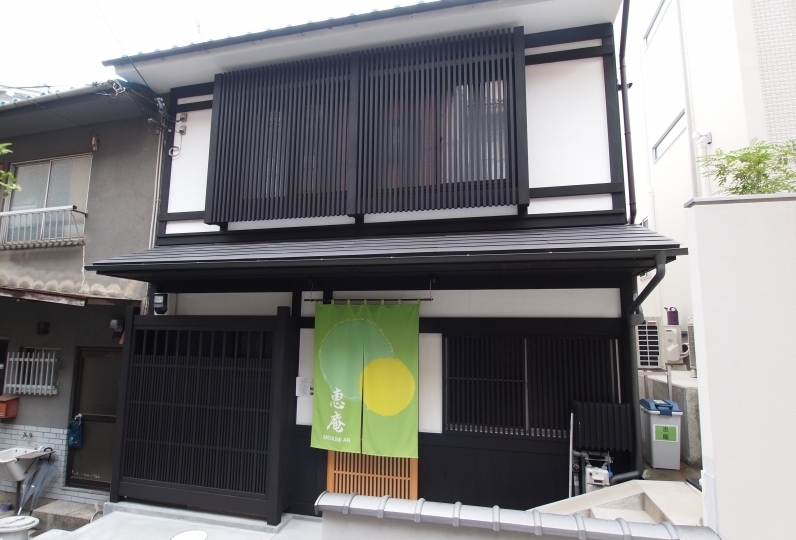 Zen is a townhouse with a capacity of 10 people. 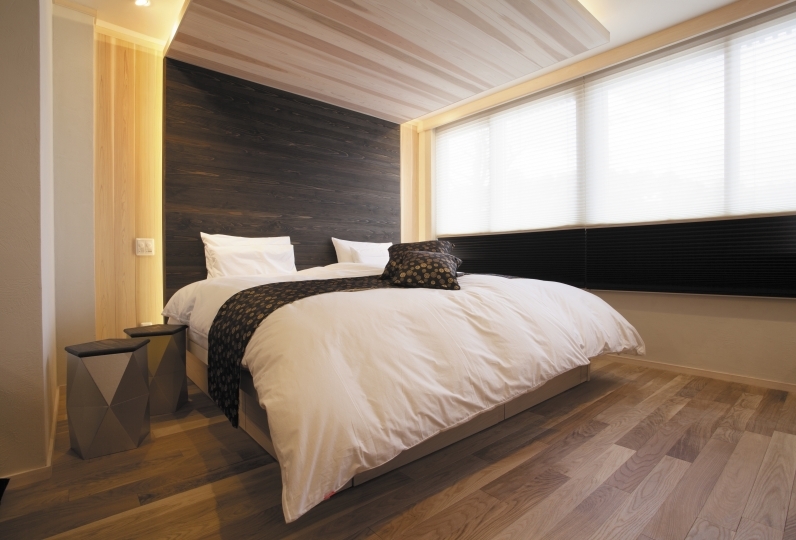 There is a 13㎡ Japanese Style Room, kitchen, a spacious washroom and a Japanese Cypress Bathroom on the 1st floor. If you open the windows in the bathroom, it will be as if you're bathing in an outdoor spa. Enjoy this extraordinary lifestyle that can only be experienced on a vacation. 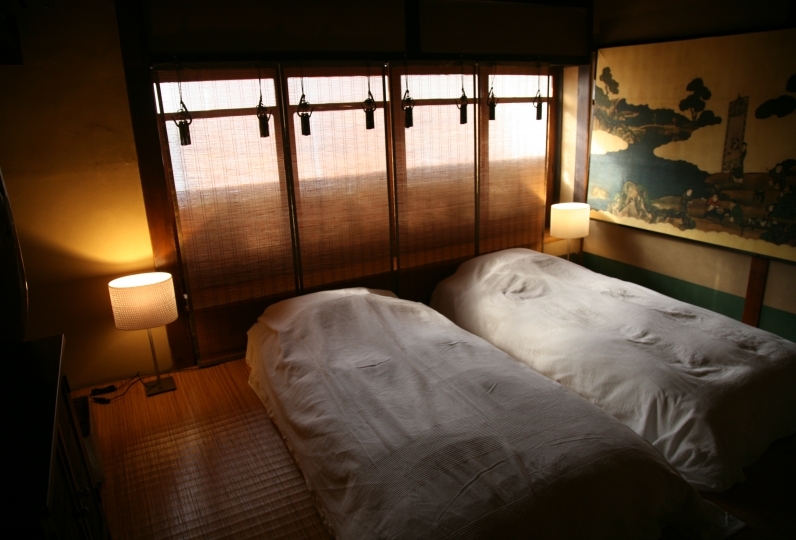 There is a bedroom with 2 semi double beds, a 10㎡ Japanese Style Room and a corner room with antique furniture on the 2nd floor. There are toilets on both of the floors. There is a parking lot for guests that is accessible from the garden. ・Please be aware that it is a very quiet neighbourhood. Please be careful of the neighbours. ・If there are any complaints about the noise, we will release our contract and may ask you to leave the townhouse immediately.